Wendy Jenkins, from Moving2Plan www.moving2plan.com.au has provided us with a guest post today, to explain the maze of the Australian Health Care system, and how you, as a migrant, can navigate your way through it. Moving to Australia is an exciting prospect. However inevitably the question of health care is raised. No one wants to become ill or injured while living in Australia and then be left with an enormous bill to pay. We have therefore answered below some of the more common queries that arise. Medicare also does not cover dental costs, with some exceptions for low-income earners. There is a suggestion that a nationwide Denticare Australia program may be included in the next government budget, however the specific details are yet to be announced. Some dental organisations provide interest free payment plans, member discounted services that attract an annual fee, or discounts for regular patients to help manage costs. Medicare Information Kits for migrants are available in 19 different languages. What amount is subsidised by the government? The benefit (or refund) that you receive back from Medicare is based on the Medicare Benefits Schedule (MBS) for that specific service which is set by the government. Doctors and other health service professionals can choose to charge over the schedule fee or bulk bill. Bulk billing is when doctors bill Medicare directly, accepting the Medicare benefits as full payment for the service. If doctors charge a higher amount the patient wears the extra costs. Many doctors now offer to process Medicare claims electronically at the end of the appointment. Alternatively you can lodge most claims online, visit a Medicare office or post in your claims. Refer also to How does Medicare work? Fee = $35.60 and Benefit = 100% so you receive a $35.60 rebate. Therefore if the doctor charges $65.00 for an appointment you will be out of pocket by $29.40. Fee = $83.95 and Benefit = 75% (hospital in-patient) or 85% (out-of-hospital) so you would receive either a $63.00 or $71.40 rebate. Therefore if the doctor charges $130.00 for an appointment you will be out of pocket by $67.00 or $58.60. You will need a referral letter from a GP to see a specialist so will need to budget for both out of pocket costs. Specialist fees can also vary considerably with some charging several hundreds of dollars if they are highly specialised and sought after. It is worth checking fees prior to making appointments so you are prepared for any out of pocket costs. o Comprehensive dental oral examination, limited to 1 per provider every 2 years: Note: Any preventive services like removal of plaque and/or stains, or any fillings etc are billed separately and can quickly add up to a sizeable bill even with the rebates. Note: If you are not eligible for Medicare you will have to pay the full appointment fees. However you are also exempt from paying the Medicare Levy and any surcharges (see below for more information on these). The Pharmaceutical Benefits Scheme (PBS) details the medicines subsidised by the government, which must be purchased through a pharmacy. Non-PBS medications will be charged at full price. The government also protects high users of medical services from big out-of-pocket costs through the Medicare Safety Net, and provides pension and health care concessions for pensioners and low income earners. The PBS Safety Net is available for individuals who need a lot of medicines in any year. Individuals may also be able to claim a tax offset of 20% for net medical expenses over the threshold, currently $1,500 for the tax year for eligible expenses. Note: The above protections may only apply to individuals on full Medicare so check further with Medicare before applying. Are there any costs when I use an ambulance? Ambulance cover varies between the different Australian States & Territories. In Queensland and Tasmania, ambulance services are provided free for local residents. In all other States & Territories, fees may be charged. The fees can vary depending on: how far individuals travel by ambulance, the type of transport eg. helicopter, the nature of the illness, whether an emergency or not, and any concession eligibilities. Residents living outside Queensland or Tasmania can insure against ambulance costs, either through membership schemes provided by the relevant ambulance service (in the Northern Territory, South Australia, Victoria and country areas of Western Australia) or through a private health insurance fund (in the Australian Capital Territory, New South Wales and metropolitan Western Australia). Note: Check the details of any ambulance cover provided by private health insurers carefully as it may only be limited to ’emergency’ transportation eg. not covering trips between hospitals or non-critical call outs. Membership with ambulance services may be more comprehensive. In most cases, local holiday or business visitors to other States & Territories will be covered if they were covered in their home State or Territory due to reciprocal arrangements. However it is worth checking this before travelling to other States or Territories. Do I have to pay anything towards Medicare? Medicare is funded by a Medicare Levy tax deduction taken from your income with the contribution level based on how much you earn. The Medicare Levy is currently 1.5% of taxable income. In addition, the Medicare Levy Surcharge of 1% is levied on high-income earners who do not have private hospital cover. The income threshold for 2011-12 year is $80,000 for singles and 160,000 for couples / families increasing by $1,500 for second and subsequent dependents. The surcharge is designed to encourage individuals to take out private cover and therefore reduce the demand on the public Medicare system. If you are not eligible for Medicare then you may qualify for a Medicare Levy exemption and will not have to pay the Medicare Levy or Medicare Levy Surcharge. You must however complete a Medicare Levy Exemption Form in order to be exempt from the tax. What are the differences between Medicare and Private Health Insurance Cover? The Health Insurance Ombudsman has a good comparison of Medicare and Private Health Insurance. Do I have to take out private health insurance? You do not have to have private health insurance unless it is a requirement of your Australian visa to make arrangements for a minimum level of health insurance. A sponsor could still offer to pay the insurance, however if not the visa holder is responsible. Student visa holders are required to have Overseas Student Health Cover, although students from Sweden or Norway may have special arrangements. However you may still want to consider taking out private health insurance to give you more health care options, to cover items which aren’t covered on Medicare such as dental costs, or if you are not eligible for full Medicare. There are two types of private health insurance: 1) Hospital policies and 2) Ancillary or extras cover for treatments such as dental and physiotherapy. Most health funds offer combined policies. Insurance policies may also have exclusions and restrictions, excess payments and waiting periods for certain claims. Insurance claims may also be subject to annual limits for certain types of claims. Insurers often have preferred suppliers who may offer higher benefits for members. How much does it cost to have private health insurance? The costs of insurance vary considerably depending on what health cover plan and insurer you choose. You should only choose a registered Australian insurer and one way of choosing is to use the many free comparison sites available. The Private Health Insurance Ombudsman website also has excellent information. If you are currently with a recognised international health fund you may be able to obtain an insurance clearance certificate and transfer without incurring waiting periods for some claims. Continual coverage will depend on the old and new policies being similar. Many Australian insurers refer to the International Federation of Health Plans to determine whether a fund is recognised under their transfer policies. Health insurance rates can increase on 1 April each year in line with government regulation and in 2012 this resulted in average increases of 5.06% for new and existing premiums. o Lifetime Health Cover – Additional loadings that increase the later you take out health insurance during your lifetime with a maximum loading of 70%. From 1 July 2012, the Rebate and the Medicare Levy Surcharge will be means tested. This could result in substantial benefit reductions for high-income earners, particularly singles earning $130,001 or more, and couples/families earning $260,001 as their rebate will drop to zero. You can read more about these changes at privatehealth.gov.au. Wendy Jenkins is the owner and creator of Moving2plan, a unique online relocation solution for anyone moving to Australia. The innovative application allows members to plan and track their own move online saving time and money. 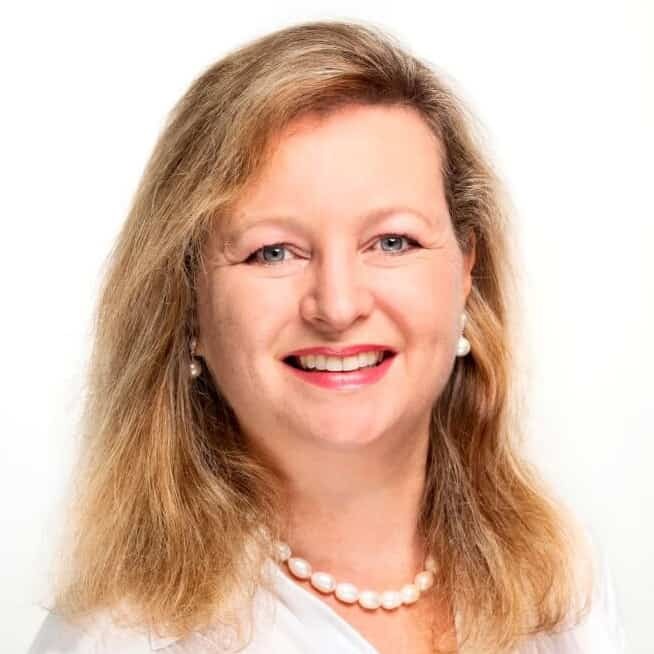 As the former Expatriation Lead for Shell Oceania, one of the leading experts in this field, Wendy has had extensive experience assisting hundreds of individuals and families to move to and from Australia. Wendy’s advice was also constantly being sought by external individuals who wanted to move to Australia, but who did not have the budget for costly traditional relocation services. She therefore developed the Moving2plan application to fill this gap in the marketplace, working hard to offer a low cost yet high quality online relocation tool. Moving2plan is testament to Wendy’s understanding of the complexity, challenges and personal needs involved when moving to Australia. Moving2plan’s customised solution provides members with a tailored online guide and planning tool specific for their needs. Wendy brings together over 14 years experience as a qualified human resources professional with multinational experience. She also has over 7 years of experience studying and working within the international travel & tourism industry, receiving several accolades during this period.